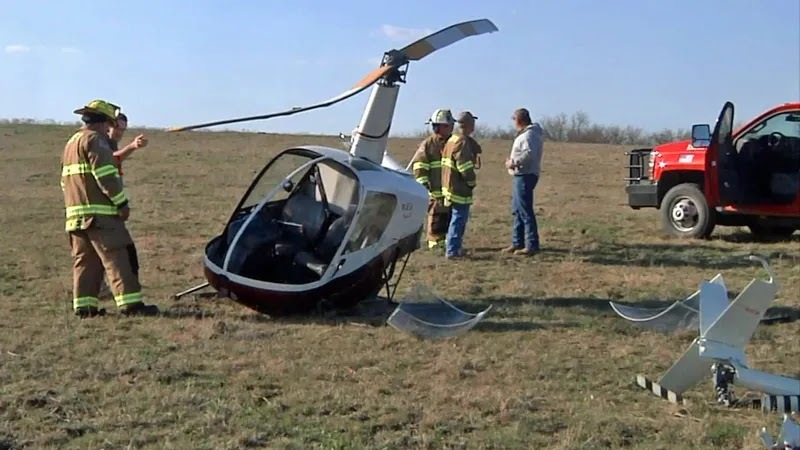 The pilot reported that he conducted a preflight of the helicopter, which included checking the condition of the belts that drive the rotor, and they appeared to be normal. About 10 minutes after takeoff, he was in level flight about 700 to 800 ft above ground level, when the clutch light warning light illuminated. He stated that almost immediately after the clutch light illuminated, he heard a "bang" and felt the helicopter shudder. He entered an autorotation and landed in a pasture that was rough. 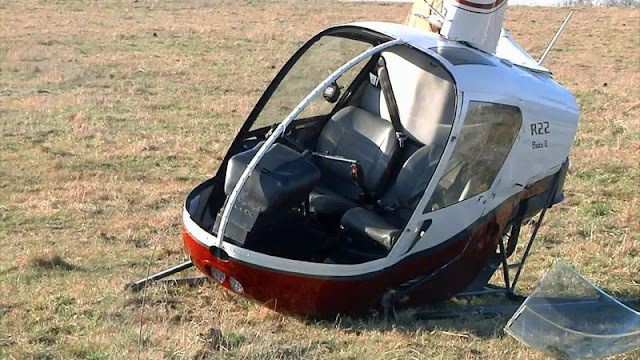 The helicopter rolled onto its left side and sustained substantial damage to the tail boom, main rotor, and fuselage. An examination of the helicopter revealed that both belts were missing. They were not located at the accident site. MARSHALL COUNTY, Oklahoma (KXII) - Tony Hawkins of Madill said he was putting out hay to feed his cows Wednesday afternoon when he saw a small two seat helicopter crash land in his field a few hundred yards away, near U.S. Highway 70 and Simpson Road, west of Madill. "(It) looked like he was coming in pretty fast," Hawkins said. "Next thing you know, he hit and just flipped it over on its side." Hawkins said he was afraid for the pilot's life and praying he was alright. "I was really scared for him...because I didn't know what to expect when I got here," Hawkins said. Austin Hawkins said he was in Madill when he saw the fire department and sheriff's cars drive through town. His fiancee called him about a helicopter that crashed near where they live. "So I drove down here and, sure enough, there was a helicopter in the pasture," Austin Hawkins said. "I actually live right over there, so right across the field. 'Literally crashed in the back yard' kind of deal." Marshall County Emergency Manager Robert Chaney said the pilot called in the crash, saying he was not hurt and did not want an ambulance. Two fire engines were on scene. Oklahoma Highway Patrol investigated the crash site. The pilot did not want to be named but said a mechanical malfunction caused his R-22 Beta II helicopter to crash. He was flying from Ardmore to Madill. He said he has had his pilot's license for many years and has been in crashes before. His training on landing safely kicked in when he discovered something was wrong with the aircraft. The pilot said he is thankful to have walked away without injury. "It's just a blessing that he could walk out of it," Tony Hawkins said. "I'm happy for him, very happy for him." The pilot said the FAA will contact him Thursday morning on whether to investigate the crash further. 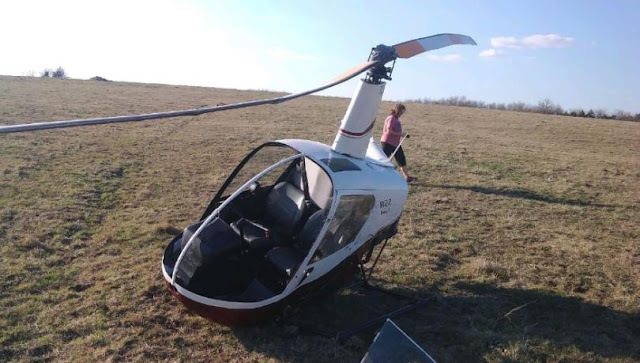 MARSHALL COUNTY, Oklahoma -- A pilot is lucky to be alive after his small helicopter crash-landed in Marshall County late Wednesday afternoon. The call for help went out just after 5 p.m. when the pilot alerted the control tower to a problem. 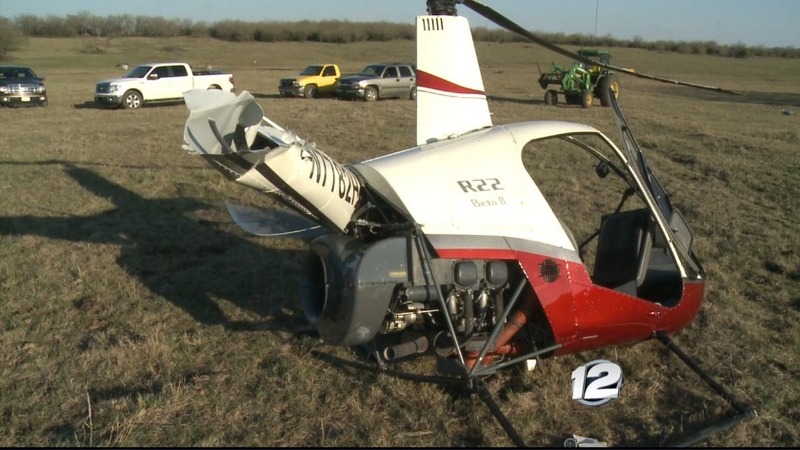 The Oklahoma Highway Patrol reported that the issue may have been related to a failed gear in the Robinson R22 Beta II copter. 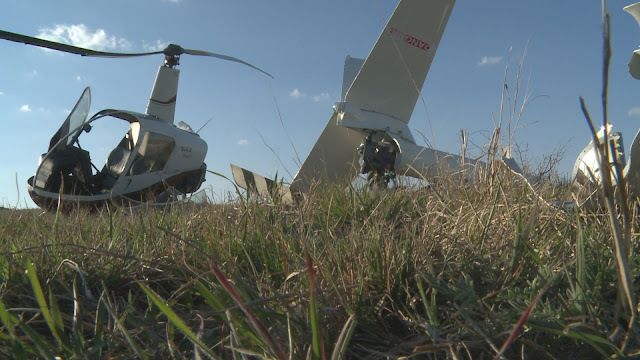 The two-seat aircraft crashed in a farm field and overturned near the intersection of Simpson Road and Stowers Road, near US 70 between Madill and Ardmore. The impact snapped the tail from the cockpit. "It's just kinda... you know... what are the odds? Is really all I can think," said Austin Hawkins, who owns the land. "A helicopter crashing in the backyard? So it's just kind of crazy." The pilot was reported to be up and walking after the hard landing, but the chopper is considered to be a total loss. The R22 helicopter was introduced in 1979 and the model remains in production.